What have you done this week to make you feel proud? 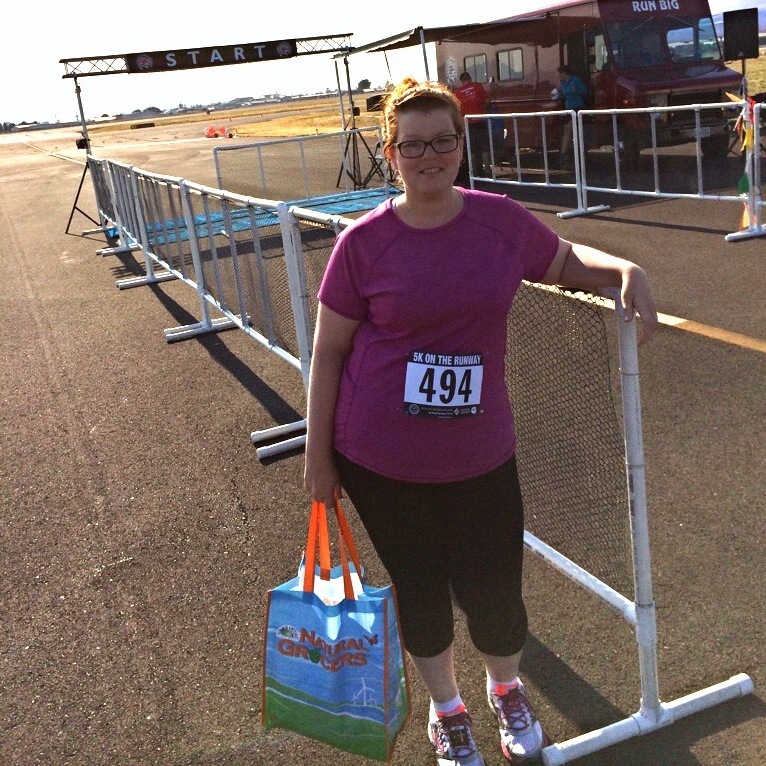 After losing 70 pounds on Weight Watchers, Jenn just completed her first 5K race! 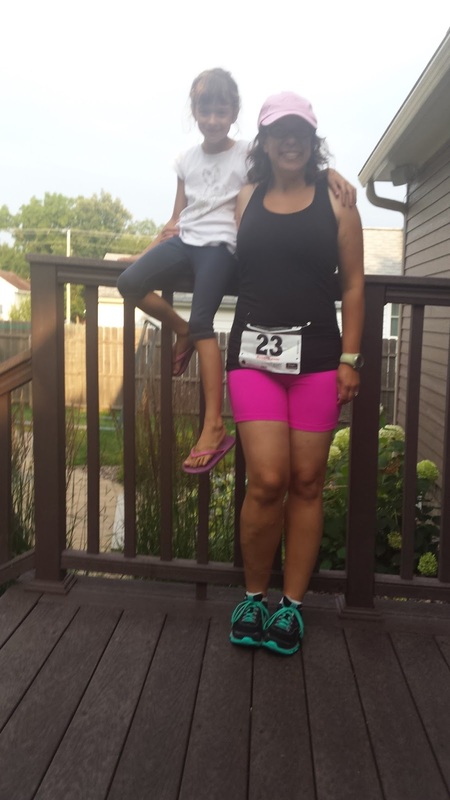 She followed a Couch to 5K-like program for about eight weeks, and her only goal was to run the entire race (no walking). She reached her goal, and celebrated by buying a treadmill! She enjoys running outside, but didn't want to have any excuses not to run during Oregon's rainy months. 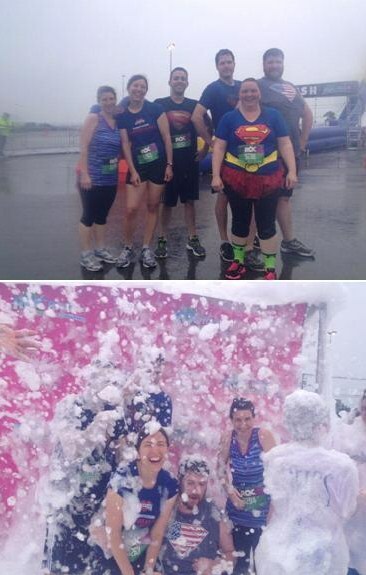 On Saturday, Lisa (second from left in photo) stepped WAY out of her comfort zone to do the Boston R.O.C. (Ridiculous Obstacle Challenge) race. She was really nervous, and afraid of getting hurt, especially when she saw it was cold and rainy the day of the race. She was pleasantly surprised to see that some of the obstacles that intimidated her the most turned out to be the most fun! She and her group of friends were freezing, but they had a blast, and got to play like kids at the finish line foam party. Sarah is very proud to announce that she is an IRON(WO)MAN! She completed the Lake Placid Ironman triathlon (a 2.4-mile swim, 112-mile bike ride, and 26.2 mile run--to be completed under 17 hours in order to be considered an Ironman). The photo below shows Sarah before training for the Ironman, and then at the finish line--she lost 55 pounds during training for this race! If you have a photo you'd like to share for Motivational Monday, just email it to me (subject: Motivational Monday) along with a short description, and I may include on a future MM post! Sarah, you are such an inspiration! I've wanted to do an Ironman for years, but didn't think I could do it. Maybe I should just sign up and do it! I just want to let you know that you've totally inspired me! I have been training for a 5k and trying to lose weight, and I've been following your blog for a few weeks... thanks for sharing your story! Great blog! These are great motivators any day of the week!